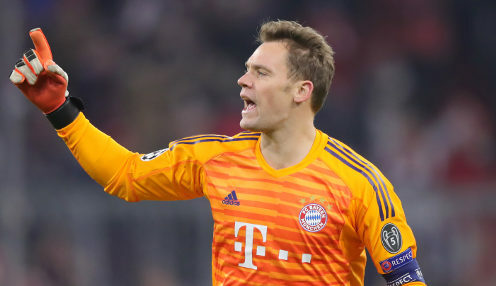 Bayern Munich have suffered a double blow as they battle Borussia Dortmund for the Bundesliga title, with both Manuel Neuer and Mats Hummels picking up injuries. Germany international goalkeeper Neuer suffered a recurrence of an old calf injury during the 4-1 win over Fortuna Dusseldorf on Sunday, with central defender Hummels reporting a thigh problem late on the game. Neuer is facing around two weeks on the sidelines, with the knock to Hummels rated as a little less serious by the Bayern medical team. Die Roten are currently one point clear of Dortmund at the top of the table with five games to play, with Bayern having scored 27 goals in their last six league games. The men from Munich are priced at 1/6 to secure a seventh straight Bundesliga title, with BVB available at 4/1. Meanwhile, Lille chairman Gerard Lopez believes it is inevitable that Bayern target Nicolas Pepe will leave the Ligue 1 outfit at the end of the season. The 23-year-old Ivory Coast international forward has scored 18 league goals so far this season and is reported to be on the wanted lists of several top European clubs, with such interest prompting Lopez to admit: "It is certain, he will leave. "He has moved into a price range that we cannot afford anymore. There is a career choice to make for him, I think he will have the choice (of clubs)."